Naiva crouched on a knob of rock, looking back toward the mountains. Their hunting party had finally reached a high plateau yesterday after days of traveling through the rough and treacherous landscape. When Naiva was a little girl, Grandmother had brought her and Baishya to the high plateau. Back then—all those years ago—the mountains had been blanketed with thick snow and massive glaciers. Now the snow cover was patchy, rock showing through; the avalanche that had almost killed her and Baishya on Eternal Peak was one of many tearing the snow and ice off the once frosty peaks. The world was changing. If you didn't change with it, you'd be swept away. She scanned the sky for any sign of the Atarka broodling who had been following them for days, but it had vanished. When she turned to look out over the plateau, she caught her breath. Far away, a long dragon swooped and dove, then rose skyward again with a sinuous, rippling grace no bird could copy. She glanced down into a rock-ringed hollow where the other hunters were rolling up the hides under which they'd sheltered for the night. Her twin sister climbed up beside her, squinting against the rising sun. "It isn't one of Atarka's broodlings. Too long and lean." "If it isn't, then it shouldn't be hunting in Atarka territory. What's taking so long for everyone to get going?" She again glanced down to where the hunters were readying their weapons and packs for the day's march. All wore heavy leather coats except for the tallest among them, the Kolaghan-born orc named Fec, with his graying crest of stiff black hair. Unlike the others, he wore nothing on his torso, only a heavy skirt of braided leather strips. A pair of swords were slung cross-wise on his mottled back, and he held a stout walking staff in his left hand. "It's probably that old orc slowing us down. I don't see why we have to have him with us." "Grandmother has her reasons for everything she does. Now be quiet. Here she comes." Yasova clambered up beside them, dropping to one knee beside the girls. The high plateau spread before them, so wide and bare it seemed the skin of the earth had no clothing to protect it. A straggly line of stunted trees marked the course of a stream that wound across the plateau. Otherwise, the stark landscape was nothing but stretches of grass, marshy hollows, puddles of icy water melting out of patches of snow, and knobs of bare rock like this one poking above the grass amid a tumble of boulders. The wind never let up, rippling through grass, tugging at loose strands of Naiva's hair. "Do you see the dragon?" Naiva pointed east. "Of course I see it." Grandmother shaded her eyes to cut out the glare. "That's an Ojutai dragon. It's curious to find one here in Atarka's territory, and it's never good when curious things happen." "It might have wandered here accidentally." "An Ojutai broodling? No. They're too intelligent to do anything by mistake." "Dragons can be smart and not just hungry?" "Haven't you been paying attention to Grandmother's history lessons?" Baishya elbowed her twin in the ribs, although the thick leather tunic Naiva wore absorbed most of the force, so the impact did not even rock her. "Ojutai is a great scholar. All his broodlings are lesser scholars." "Scholars of dragon lore, not of human lore," said Grandmother with a disapproving purse of her lips. "He began the purges. The other dragonlords followed his lead." "The purges?" Naiva regretted asking the question as Baishya rolled her eyes. "Do you listen at all, Nai?" "No one in our age group casts a hunting spear or shoots an arrow more accurately than me. What do I care about old stories?" "Enough." Grandmother rose stiffly in a way that troubled Naiva, who was used to seeing her grandmother as eternally strong and capable. But when her eye caught Naiva's, not a sliver of weakness showed in her hard gaze. "We'll have to swing wide and go along the watercourse, using the trees as cover. 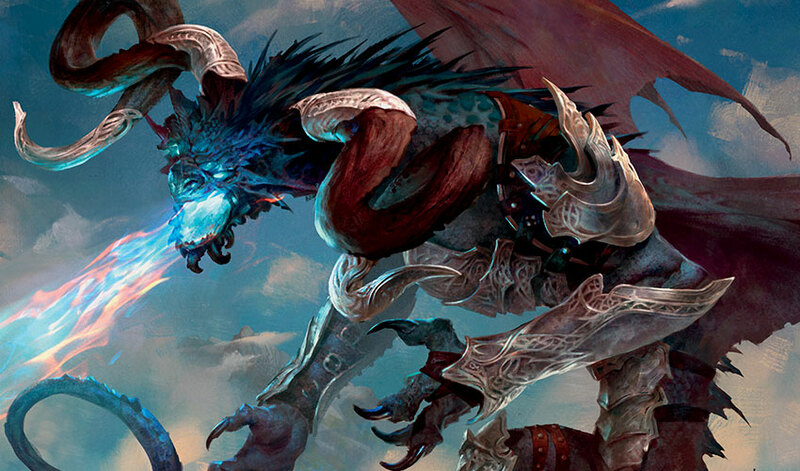 I want to reach Ugin's grave without tangling with that dragon." She turned to look back toward the western range of the Qal Sisma. "Is that Atarka broodling still following us, do you think?" Naiva asked. "I haven't seen it since yesterday." "Neither have I," said Grandmother. "I don't like that it's vanished. Maybe it got bored. Maybe it's stalking us for reasons that pass as thought in its small mind. Some of Atarka's broodlings have a low cunning that makes them particularly dangerous. Girls, you'll walk with me in the center of our line." Baishya nodded with a smile, for she loved no place better than being close to Grandmother, but Naiva's anger flared. "You said I'd be allowed to scout once we reached the plateau!" "That was before the Ojutai broodling. Come along." No sense in arguing with Grandmother. But Naiva fumed as they set out, and she fumed as they walked, forming words with her lips without giving them breath to make sound. Now and again her twin would roll a sideways gaze at her and waggle her eyebrows, mocking her, until at last her mood began to soften at the familiar teasing. The morning's trudge in the shade of the tangled growth along the lazy curves of the watercourse was unpleasant, not that she would ever admit the constant buzz of insects and the pull of thorny vines and brush of stinging nettle bothered her. Any hunter worth her salt was above commenting on such mundane discomforts. The others walked with grim purpose as they slapped away the incessantly biting bugs. Just before midday, they reached an oxbow bend in the river where a deep pool had formed away from the main current. Grandmother raised a hand. "We'll break here and catch fish for our supper. Rakhan and Sorya, take watch." Naiva walked to the edge of the tree line and, using the leaves as cover, peered up at the heavens. A large raptor was gliding in the distance, perhaps a hawk or eagle. A flock of long-tailed finches patrolled for insects along the edge of the thick vegetation along the watercourse. After a bit, Grandmother came up to stand beside her, Baishya at her heels. "There's no sign of the Ojutai dragon," said Naiva. "Maybe it's flown back to its own territory." "Maybe." Grandmother studied her until Naiva began to shift from one foot to the other, fearing she was about to be scolded when she'd been the first to spot the dragon. "Naiva, you've done well. Protecting your twin. Killing the goblins, and thinking ahead to bring them to camp. Of course, you keep up without complaint. I expect that from you." Grandmother gestured toward the open ground. "Do you see that ring of stones out there?" Some ways away from the watercourse, amid high grass, a knob of rock rose about a man's height above the ground. The rock was ringed by a tumble of boulders as if it had once been a giant firepit. A pair of vultures perched on one of the boulders. They were looking inside the ring in the way of scavengers, curious about something that might die soon but hadn't died yet. "I want you to climb the outcropping and get a clear view, since our vantage is limited here. If the vultures are not afraid, then we need not be. Approach cautiously regardless." "Baishya can go with you." "I thought I was going to fish with you, Grandmother," Baishya protested. "You need the practice. If Atarka ever suspects you are a whisperer, she'll eat you. Go on." Naiva was eager to get going. She left her pack with the others and, carrying only her spear and knife, hurried into the tall grass. Although the grass was tall enough to hide her from view, it rustled as she moved through it, a nuisance she'd never had to deal with in the mountains where grass never grew this high. Behind, Baishya panted, "Wait up." Disturbed by the noise and movement, the vultures lofted themselves into the air. "Hssh. Quiet." Naiva slowed as they reached the outer boulders of the ring. She halted with her back against the rough curve of the nearest boulder and eased around to peek in toward the sheltered center. A staff's blunt end whipped past her face, barely missing her as she jerked back. She flipped her spear forward and, with a quick circling motion, caught the tip of the attacker's staff and slapped it hard backward. The person holding it stumbled, parrying as she hit his staff again. She ducked her spear under the point and lunged, and the stranger caught the blow as he spun his staff downward. But the effort unbalanced him. He staggered backward to get out of her way. She leaped in, meaning to drive him to the ground, but instead she stopped, staring. A young man faced her, gasping heavily as he leaned on his staff. The left shoulder of his garment was sticky with fresh blood. Its red leavings had smeared up his neck to mottle his chin. He trembled with pain, an easy kill, and he deserved to be killed for trespassing into Atarka territory. Yet she hesitated as he gripped the staff more tightly to stay upright, as any proud warrior should. In a raspy voice he said, "You are of the Temur clan. I seek Yasova Dragonclaw." As if this speech drained the last of his strength, he toppled unconscious to the ground. Baishya stepped up beside her, staring. "Who is he?" Baishya took in a sharp breath as if disliking the curtness of her sister's command, shook herself, and hurried away. Naiva pressed the point of her spear against the side of his neck. She waited as a hunter waits. In the silence, she had time to examine him more closely. He had a shaved head and wore loose trousers and a light gray tunic wrapped with a sash around his waist and belt with a beautiful gold circular clasp decorated with strands made of tiny silver chains. Movement flashed in her peripheral vision as the two vultures settled at the height of the outcropping she'd meant to climb. "You can only have him if Grandmother decides he's not worth saving," she said to the birds, but her gaze strayed back to his closed eyes, slightly parted lips, and lean face. He didn't look anything like the young people she had grown up with; he looked mysterious and intriguing. He stirred, groaning, and she braced herself in case he came up fighting, but his chin sank back down and he fell still. She took a step back as Baishya reappeared with the big orc a step behind. Fec surveyed the sheltered clearing within the stones before whistling an "all clear!" Only then did Grandmother come inside the ring of rocks. She paced around the unconscious man, examining him from every angle, then bent to remove the staff from his loose hand. "He said he is looking for Yasova Dragonclaw," said Naiva. "Just like in my vision," said Baishya eagerly. "You saw him?" Naiva didn't want Baishya to have seen him first. "No, not him. I don't care about him. I heard those words. Remember?" Maybe their voices woke him, or maybe he was all along fighting his way back to consciousness. His eyelids fluttered. Even that slight movement troubled his wound. With a hiss of pain, he woke up, opening his eyes. Blinking, his gaze shifted from one girl to the other and back again with a squint of confusion. "How badly did I hit my head?" he whispered. "My vision shows me two. 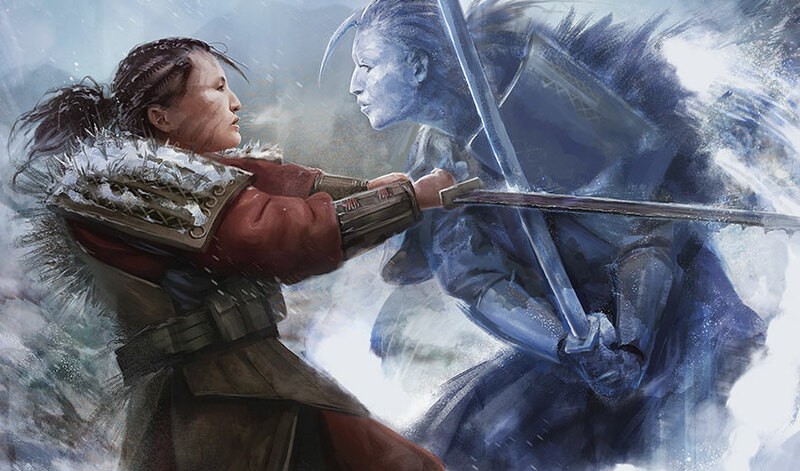 It is said the Temur whisperers have the power to create a double of themselves out of ice. Is one the magical revenant of the other?" Grandmother's hand tightened on the spear she carried: an ordinary spear with an obsidian point, not the fabled dragon claw spear that had once heralded her position as ruler of all the Temur people. "You're being hunted by one of Ojutai's broodlings, aren't you?" "I should kill you and hand you over to your dragonlord. Your presence puts my people at risk." "You can't kill him," exclaimed Naiva. "He came to find you! If you don't heal him, he'll die." "We all die, now or later," replied her Grandmother in her most maddeningly calm tone. "This could be a trap on the part of Ojutai to find me." "So you are Yasova, keeper of the past and guardian of the unwritten now." "Why does it matter to you?" "Three months ago, my master had a dream. When he woke, he told me I was destined to make a long journey. He said it was time to share our secrets." "Many people claim to have secrets, but few of them are worth sharing," Grandmother said. He took in several ragged breaths to build strength for more words. "Ojutai destroyed the records Shu Yun preserved for so many generations. He wants to destroy our memory of the past, and of our ancestors, so our people know only what the dragonlords wish them to know. But the story the Spirit Dragon told to the first shamans has survived because it wasn't only written down. It has also been passed down from master to student, memorized and handed on to the next generation." Grandmother's brow wrinkled. A glimmer woke in her eyes, a flash of excitement, a thrill of fear and hope. "The Spirit Dragon spoke to your shamans?" "Yes, and I know—" He broke off, coughing. Red droplets speckled his chin, and his breathing grew more ragged as he fought to stay awake. "We'll never know if you don't heal him," cried Naiva. "Nai's right," agreed Baishya. "Let him prove the truth of his words." Grandmother frowned. "Fec? Any sign of the Ojutai broodling?" The orc crouched atop one of the lesser rocks, though Naiva couldn't imagine how he had managed to scramble up there with his bad leg. "The sky is empty. That seems to me a bad sign." Grandmother knelt beside the young man. "What is your name?" "I am Tae Jin, Yasova Dragonclaw." "Do not use that title again." She took hold of the hand he was pressing to his wound and shifted it to his other side. Blood welled up against the cloth the instant the pressure was removed. She pulled off her glove and placed a bare hand, fingers spread, atop the wound. The glow of magic lit her hand, its vital force like a lantern burning off the agony in his body. He gritted his teeth, making no sound, but sweat broke on his forehead despite the cold wind blowing over them. The magic faded. Grandmother's eyes looked drawn and weary, but she gave no other sign of the toll healing magic had taken on her as she sat back on her haunches. "Tell me something I don't know, and I may let you live." He took in and released a breath free of the racking cough. 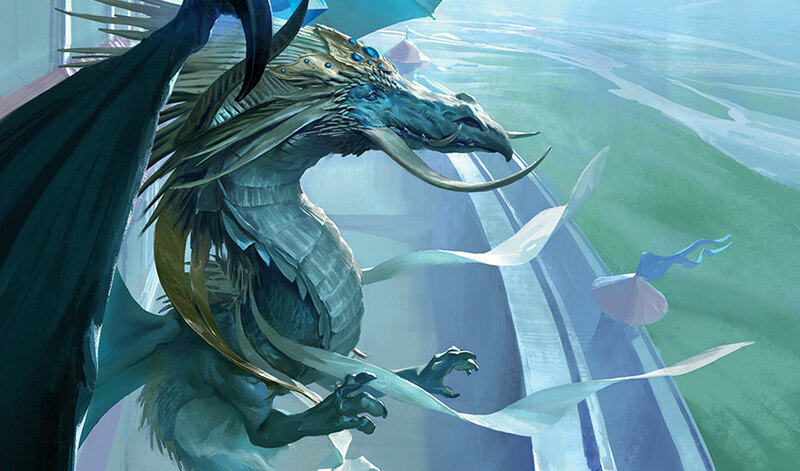 "These are the words of Ugin Spirit Dragon, who spoke them in ancient days to one of my Jeskai ancestors." Then he began to speak in a barely audible and almost rote tone as if he were merely a funnel through which a far more ancient voice spoke across generations. If you wish to master the way, then you must learn and repeat and remember. Knowledge is also memory. To forget the past is to lose a piece of ourselves. How much more so for an entire people who lose their past. My own story is a simple one. The one I loved best in all the worlds is the one who killed me. How did it happen? That is less simple, and will take longer to tell. Listen carefully, for he may come here someday, and if that happens, then you must beware, for whatever words he speaks to flatter and persuade you will be lies. Baishya took her hand. "Are you all right? Is something paining you?" "No, it was just a bad memory. Go on, Tae Jin. Now I am interested." He nodded, as if he had expected this response, and continued speaking. We dragons fell out of the sky into a land that did not know us, nor did we know it. Of course, there were many of us fledglings. Each one met this new world in their own way. I was born twinned to Nicol, where in every other egg there was only one. We woke together, we named ourselves together, we touched the soil of our new home at the same instant. We witnessed the death of a sister, and in this way, we learned that no creature is safe. Not even us. When Nicol and I left the mountaintop, we flew in search of our siblings. The death of our sister haunted me because of how briefly she had lived and how savagely she had died. As for Nicol, it angered him because it scared him, although he would deny it. If you should ever have the misfortune of meeting him, I would never recommend anyone suggest to him that he at any point in his long life has felt fear. What about our surviving siblings? I suppose you have never heard of them. The names of the elder dragons were once celebrated with awe and respect. It is so easy to forget. No memory is safe. But what a flight we took on that first day, seeing it all with newborn eyes! The sky, so wide! 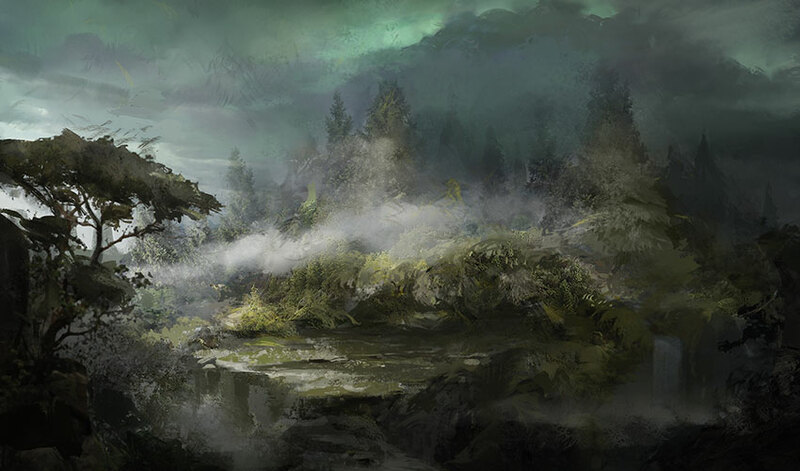 Clouds like mist, and rivers streaming across a vast land covered with vegetation and beasts. I was passionate to know what everything was and to discover its name and a purpose. Nicol stared at everything too, the sky so wide and the clouds like mist, and then he said, "How could we have stopped those hunters from killing her?" "Once we understand the world better, we will find the answer. Aren't you excited to explore?" "I wasn't trapped! We could have managed something, if you hadn't hesitated." "We did what we knew to do at the time." "It wasn't enough! We must learn what we could have done to prevent it." "Aren't you curious about the world?" "I want to know who those hunters are, and where they come from, and how we can destroy them. They've learned they can kill one of us now, so they will not fear us." "Look over there," I replied, hoping to distract him. "One of our siblings!" In a valley high in the mountains spread a deep, dark lake. A long lean dragon with metallic sheen on his scales was stretched out on a flat outcropping of bare rock, forelegs hanging over the edge, his sleek head dangling over the water as if he'd fallen asleep. As we flew excitedly around him, seeking a place to land, something monstrously large turned in the waters of the lake, vanishing into murkier depths. From his perch on the outcropping, Chromium Rhuell looked up sharply and with the greatest displeasure. "Why do you disturb me, young ones?" "We are no younger than you! We fell from the same wingbeat!" Without asking permission, Nicol landed beside our brother. I hastily dropped down beside him. "You hatched later, thus you are younger. And I must say, you're quite small. It takes both of you to make one of me." He looked us over as if measuring our worth according to our size. "You've ruined my observation of the various creatures that live in the lake." Nicol craned his neck to look down into the murky waters. "Are you hunting?" "Hunting? Is that all you think about? What are your names? No, wait. No need to tell me." "Are you going to try to guess our names?" Nicol asked sarcastically. "I do not guess. Dragons are born with the gift of names. It is in our nature to know names without being told them. Just as we knew our own names at the moment we woke into consciousness." He closed his eyes, not at all afraid of us, then opened them to examine us with a keen and unrelenting gaze that irritated me because he was so sure of himself. But his curiosity and confidence also intrigued me. "Why do you each only have one name?" Nicol said nothing as he scratched a gouge in the rock. Steam puffed out of the sides of his closed mouth. "We were born twinned together," I said, feeling a bit defensive on my twin's behalf and maybe a little on my own, too. "Ah, so you have two names, but you share them between you, one for each. That would explain your size too, and maybe why you look so much younger. Hmm. Interesting." "How is it interesting?" Nicol demanded, tail whipping side to side. "There is an order underlying the world. It is difficult to discern because much of it is hidden from our eyes. Of course, most creatures lack the patience or the desire to delve into this book of knowledge." "I don't lack anything," said Nicol. Chromium Rhuell huffed smokily and unfolded his wings enough to express displeasure. "I am sure you do not. But for now, go away, little ones. I want to return to my observations. I can't with you two here talking so loudly and bothering the wildlife." "What about hunting?" Nicol asked. "If hunting is all that interests you, then you may as well go find Palladia-Mors. She certainly has no greater ambition." He stared us down until we took the hint and departed. On a vast stretch of grasslands, a huge reddish-green dragon with curling horns roared as she chased a herd of four-legged beasts. She blasted flames over the hindmost, and it collapsed, quivered, and expired. She circled back around and settled down beside the corpse to eat. I flew over, Nicol beside me. When we landed next to her, she turned raw red eyes upon us and spat a warning gust of fire in our direction. "You are Palladia-Mors," I said politely. "Our elder sister. Chromium Rhuell suggested we come to you to learn about hunting." "Go hunt your own." She tore off a great slab of flesh, and with blood staining her muzzle and teeth, she gnashed and swallowed, then turned her head again to glare at us. "You're so small, the two of you. Little runts. Probably too small to hunt." "We can hunt!" Nicol clawed angrily at the dirt, then added, "Better than you can, once we learn how." She snatched up the beast's charred corpse and flung it at us with a violent laugh. Nicol leapt sideways, startled, but I remained crouched where I was since I could see the throw would miss me, as indeed it did. Its weight smacked into the earth, spattering us with fluids. "There, you can have my leavings. This one's flesh is tough and dry. I mean to kill a tastier one for my own supper." She opened her magnificent wings and leapt into the sky. The force of her wingbeats flattened us like storm winds, and then she was gone, casting after the fleeing herd. I sniffed at the dead animal, seeking from what lingered of its spirit some indication of its name and substance: it was an ibex, old for its kind; it had had a peaceful life, and that gave its blood and meat a certain pleasing odor. I tore off a hunk of flesh. It was pleasurable to eat, even if a little tough. "Come try this." "I won't take anyone else's leavings." Nicol sat back on his tail, stretching to see how high he could reach. "We're not that small. We're bigger than any of the beasts that roam this land. Are you coming with me?" It seemed wasteful to leave the dead beast, but as I considered the cooling flesh, insects settled upon its skin to burrow and small carnivores crept closer, halting at a safe distance, waiting for us to leave. Other creatures had also begun the work of devouring the dead flesh, although they were so small as to be invisible to the naked eye. That which decays is also being consumed. The revelation swept over me like a storm's hot rush: within the invisible web that is life and death, nothing goes to waste. "Death is merely part of a greater cycle," I said, quite struck by my amazing wisdom. "I want to kill something," said Nicol. "Are you coming?" It was the second time he'd asked if I was coming with him. To be fair, we'd never been apart, had never walked or flown the slightest span without the other within earshot. I couldn't imagine being in the world without him beside me. "Yes. Let's learn how to hunt together." Dragons are natural hunters. It's what we are born for: hunting and naming and hoarding knowledge. But even so, the ibexes and gazelles of the plain were fleet of foot and cunning in the ways of avoiding being pounced upon. They had more practice at escaping than we did at catching. Once Palladia-Mors glided past just as we had at last successfully cornered a small gazelle. With mocking ease, she snatched up the animal before our claws closed on it. With a taunting roar, she flew away with it in her clutches. Nicol wanted to chase her, but I closed my mouth on his tail and held him thrashing back until he calmed enough to listen. "She wins if she angers us. Do you want her to win?" He coughed out a trickle of sooty smoke from the depths of his frustration, but after that, we took care to fly far from our older sister's hunting grounds so she wouldn't be bothered to plague us. "It's in her nature to hunt and think of nothing else," I said. "But we aren't like her. We can think of more things than just hunting. Hunting is what we do to feed ourselves, not how we live in the world." 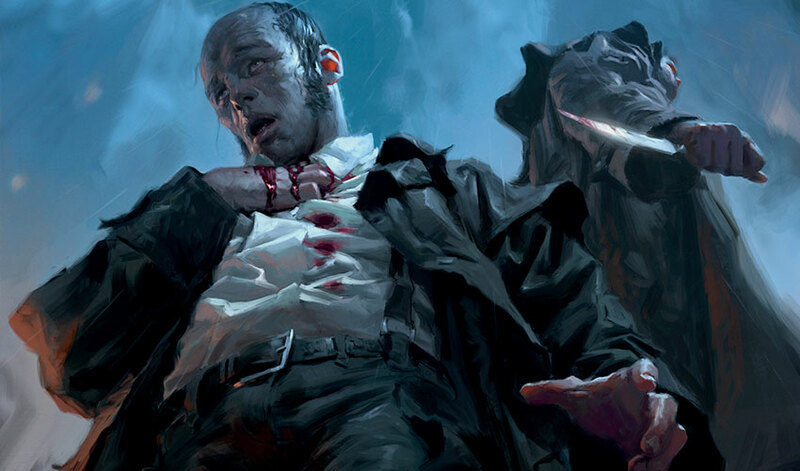 Yet by the time we finally dragged down a lagging animal too weak to outrun our pitiable attempts at catching it, I was exhausted and Nicol was so frustrated that he tore the limbs right off the creature, gulped them down too fast, and coughed them up again. "Those hunters shouldn't have been able to kill our sister," he said when he could speak. "May I eat in peace without your obsession ruining my meal?" I asked, wearily chewing on a strip of flank meat. "The hunters worked together. If we learn to work together, then we can hunt better than Palladia-Mors." I ate thoughtfully, considering his words. It was true we had hunted in the manner of our older sister, each hunting alone, relying on our individual speed and strength. What if there was a better way? We cleaned ourselves off in a hot sandbank and napped in the afternoon sun. After this pleasant sojourn, Nicol forgot his frustration and was eager to set to work. We spent years, as you Jeskai would measure the span of days, perfecting various techniques for hunting in tandem. Eventually we were easily able to catch the juiciest and healthiest specimen out of any herd, no matter how fleet and canny the animals were. By this time, we had explored into new territory. 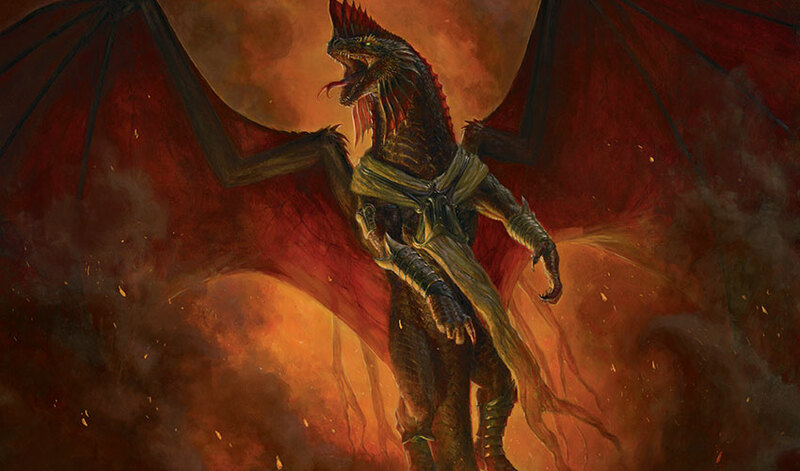 Several times we were chased by a big ugly dragon named Vaevictis Asmadi who, with his siblings, furiously guarded a territory they claimed for their own hunting grounds even though it had plenty of space and game enough for many hunters to cull. So, we explored farther afield, for to us, it seemed the land was vast and the ocean that girdled it an insurmountable barrier. We were so young and ignorant in those days. One day, we settled on a hill amid a richly forested plain. From this vantage, we found ourselves looking over a riverside settlement inhabited by the bipeds called humans. In general, we avoided humans. They didn't taste good, and I didn't like eating things that could talk. The settlement was ringed by a wall constructed of wood beams sewn together with stone cladding, the spaces between the interlocking beams packed with earth. We had observed other such settlements where these small, frail creatures protected themselves by flocking in numbers. This was by far the largest, with the greatest variety of structures and the most humans crammed inside its insalubrious confines. In short, one could smell it from a great distance. To our surprise our sibling Arcades Sabboth had taken up residence inside the great ring wall. A spacious courtyard fronted a very large building constructed of wood with a high-peaked thatched roof. In a courtyard laden with flat river-stones, he rested at his ease. Bronze shields decorated with spirals flanked him on either side, so polished that any person who approached would be reflected in their shine. Before him, planted in a bronze vase filled with agates, rose a slender tree with a thin trunk carved from ivory and leaves fashioned from gold. People wearing silver and gold bracelets and brooches attended him. Some were scribes seated cross-legged on mats, brushing letters onto barkcloth. Humbly dressed supplicants knelt by the tree with heads bowed, awaiting a judgment. I wanted to observe the scene for a while, for it quite astonished me to see a dragon interacting with humans in such an intimate way. But Nicol was impatient, eager to meet this gleaming sibling whose scales were a blinding white under the sun and who presided over the humans with such assurance. "I didn't realize humans would trust dragons," he said. Since the humans moved around our brother without fear, we approached openly. Yet when we came within sight of the cultivated fields surrounding the town, people ran for the walls. Horns blared as warning. Archers took up positions along the wall walk. No sooner had we come within range than volleys of arrows sped upward, aiming for our bellies. A few arrows met their target. Their touch on my thick scales was little more than a prickling sensation, more annoying than dangerous, yet a vivid memory of my sister's death flared in my thoughts and choked anger into my chest. Nicol soared up to hang in the sky for a moment, stretched out as he liked to do to make himself seem larger. His curving horns caught the sunlight and flashed. Then he twisted in a graceful spin and swooped into a dive. His blast of fire breath scorched along the highest tower and its adjoining wall walk. Hapless soldiers screamed and fell as the fire burned them. A huge body slammed into Nicol, sending him tumbling through the air. He barely flapped his wings enough to keep aloft as our older brother, Arcades, circled back around for another attack. I sped between them, calling out. "Brother! We mean no harm. We want only to talk to you." I guided a furious, bruised, and battered Nicol back to the hill from which we'd first seen the town. We landed on its grassy knoll. Death was no longer a stranger to me, for we had killed our share of prey, but the screams of the dying soldiers troubled me in a way that the last moments of the animals we'd hunted had not. Nicol was bleeding from the scratch of Arcade's claws along his flank. He was snorting, stamping, huffing. I said, "Here he comes!" Arcades landed, wings spread wide. His glare was as bright as the sun and his claws were out. Before Nicol could speak I said, "Forgive us, Brother. We thought the creatures were accustomed to dragons." It is in the nature of dragons to know their own. "You are the twins, Nicol and Ugin." 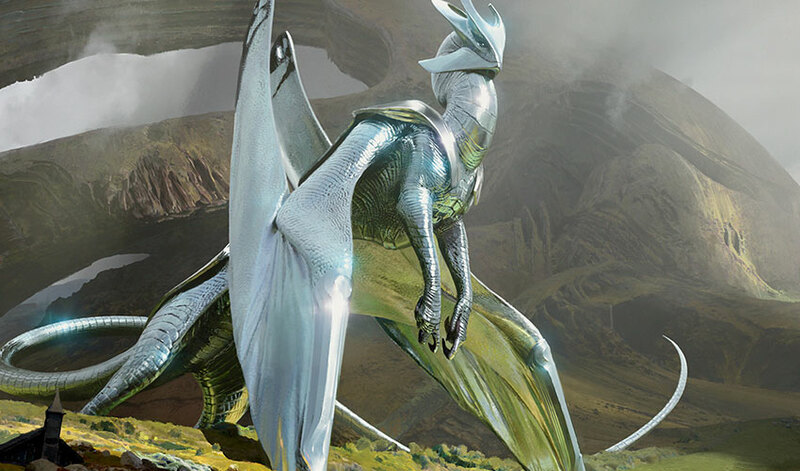 "I am Nicol Bolas," said Nicol. "You are?" I asked. "When did that happen?" "I have two names. All proper dragons have two names." 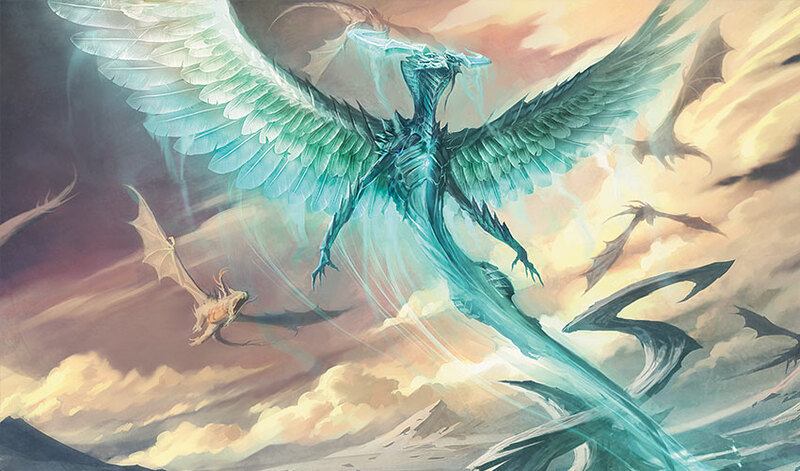 "Ugin is fine for me," I said, dismissing this as another of Nicol's quicksilver mood changes. I turned politely back to our older brother. "Brother Arcades, why did the humans attack us when we approached?" Unlike our roaring sister, Arcades spoke in a measured, resonant voice, deep and soothing. "My subjects thought you were attacking them." "Why would they think that?" I asked. "We are not the only dragons in the world." "We know that," said Nicol. "There is Palladia-Mors, and Chromium Rhuell. We've met them both." "And Vaevictis's mob. They're quite the gang of marauders. And more besides them, some flying alone and some flocking together. I protect the humans from the other dragons who roam this land. But I am also teaching the humans to a better path of life, one ruled not just by their own primitive, violent tendencies." "Why do you care about the humans?" Nicol asked. "They killed one of our sisters, when we first fell." Arcades shifted his wings in a sign of acceptance. "This struggle is the way of life and death, is it not? Humans have a right to live, just as we do." Nicol flexed his claws but said nothing, and I could see that the effort cost him. But maybe he was learning to calm down and think more. Arcades did not know Nicol as I did and so he kept talking, having missed Nicol's flash of anger. "Humans are interesting creatures. Unlike our kind, they work together. Do you want to come see? You may visit for a little while as my honored guests, as long as you follow the rules of law and order I have established in this colony." Nicol looked at me. "I'd like that," he said in a cool, flat tone. I was pleased to hear him be so reasonable. I thought I knew him down to his bones, but I did not yet know what he was capable of. So, it was then that we accompanied Arcades back to the town. He made us known to the people there, and they greeted us with awe and respect, although, perhaps not quite as much awe and respect as they showed to Arcades, whom they called "Dragonlord." There we sojourned for years. We watched as the humans enclosed more territory with more walls, as people were born in increasing numbers and built more houses and cleared more fields, as trade envoys came from distant towns to the growing city. I poked my snout into everything, and made particular friends with an old holy elder named Te Ju Ki, whose sole purpose in life, it seemed, was to think about things that could not be seen. She lived alone in a round chamber whose walls were made of stone slabs. Like the stone, she was tough and dry. Though she was withered of limb and frail of body, her mind was as sharp as obsidian. Nicol had no patience for her possessionless way of being in the world; he wanted to be where Arcades was, guiding and advising the people. Nicol made himself useful in a hundred ways, digging into every crevice of human life and emotion. But the greed and excitement and anxiety and competitiveness of humans tired me when I was around it too much, so the solitude of Te Ju Ki's way attracted me. I soaked up the calm wisdom she exuded. Entire days would pass in silence as she and I sat in her circular chamber. Its roof had long since fallen in, and she informed me once that the half-collapsed tower was an artifact of builders who had bided here before the people who now lived in this place. "We are not the first, and we will not be the last," she said. "We see only our hand before our face, but there have been other hands here before ours, and there will come others after us. Even this world is but one layer amid many others." She knew many schemes as an aid to meditation, but I best liked it when she spun globes of light in the air. Translucent threads of magic tethered each of the globes to the others so that, as they whirled in the air, they remained both separate and yet linked by connections too mysterious for me to comprehend. She called each one a "plane," although I did not know what she meant by the word at that time. When I asked if the globes were a thought experiment or if they really existed, she said it did not matter because no physical being could cross between planes. But I didn't care about that. The way the radiant globes interlocked and moved in and around each other fascinated me as much as the wisdom she uttered in her whispery rasp of a voice. "Everything that lives is interwoven. Everything that dies is consumed by something else, by another animal or by decay. In this rot lies the kernel of new life, for it passes back into the world as seeds take root and grow. There is no end, just endless cycles of transformation." "My essence will continue to exist in other forms. Shards of my being will transform into new and remarkable entities with their own journeys to make. How is this frightening?" "It seems frightening to me. Do dragons die?" "All things end. Sometimes that is not the same as dying. Do you wish me to teach you how to create the globes and spin them? It is an exercise to calm the mind." I did wish it. Oh, I did. But it was a hard task, and I was not a quick study. One day as I was sitting in the sun manifesting a single globe of light above my left foreleg, quite overweeningly proud of my tiny accomplishment, there came a terrible tumult of screams and shouts from the direction of the palace storerooms. Under the reign of Arcades Sabboth, the realm dwelt in peace and order, so the cries of fear and ragged agony cut with brutal intensity into the quiet afternoon. My scales prickled as if assaulted by a hundred arrows—nothing that could pierce me but only alarm me. Something was up. Something bad. The globe dissolved with a pop that turned into a cloud of lights dispersed by a gust of wind. In haste, I made my way to the courtyard fronting the storerooms, a place where carts and wagons and pack horses could unload and take on cargo. Blood spattered the cobblestoned courtyard. A man was on his knees on the stones. A bloody knife stuck into the chest of another man told the gruesome tale of a violent murder. Palace guards surrounded the killer who stared at his bloody hands in bewilderment. "But he's my brother. How did this happen? Who stabbed him?" Witnesses crowded forward. "You turned on him. You shouted at him that he was stealing your birthright and meant to cheat you. Then you pulled the knife and stabbed him." His voice was breathless and lost. "But that dispute between us was all settled years ago when our parents gave the carting business to us to run together . . . " He shook his head repeatedly as if trying to shake loose a noxious worm that had burrowed inside him. "We never fought after that, not one day." The words fell hollowly, given the evidence. The guards took him away. As a steward directed the body be removed and the blood washed off the stones, I raised my eyes to the roof of one of the nearby buildings. 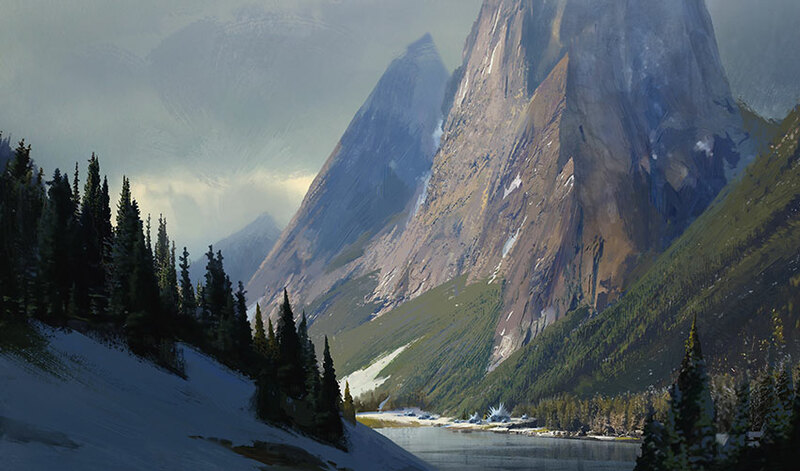 Nicol lounged there, stretched along the ridgeline, watching the scene with an avid gaze. "What did you do?" I demanded in dragon speech. "What did I do? I have not moved from here." "You stood by and let it happen? You could have intervened." A smirk of satisfaction creased his visage. "What if I did?" The prickling sensation intensified. "What do you mean? What did you do, Nicol?" "I have discovered a better way to get revenge. Are you coming or are you going to stay with your mealy-mouthed sage and her bland tidbits of wisdom?" "I am going to avenge our sister, as we should have done long ago." He opened his wings and, without even making proper farewells to our brother, flew off so quickly that he was out of my sight before I truly realized he meant to leave all this behind. I hastened to find our brother. "A magistrate will hear the case and render a ruling. It won't even be brought to my attention. No need to concern yourself with it, Ugin. You can go back to your studies." He said when I found him. "But don't you find it strange that the two brothers worked together in peace for years and then this suddenly happened?" "Humans have these troubles," he explained tendentiously to me. "They keep their emotions weighted down for years, and then a spark ignites, and they explode. It has happened before, and it will happen again." But my heart remained troubled. "What do you fear?" Te Ju Ki asked me at dusk, when I returned to her open-roofed chamber. "I don't know. But my heart will not rest." "You cannot continue your studies in this state, Ugin. I'm sorry. Perhaps you need some time away." I kept thinking of Nicol, flying off. I am going to avenge our sister. "I know where he's going. I must follow him." 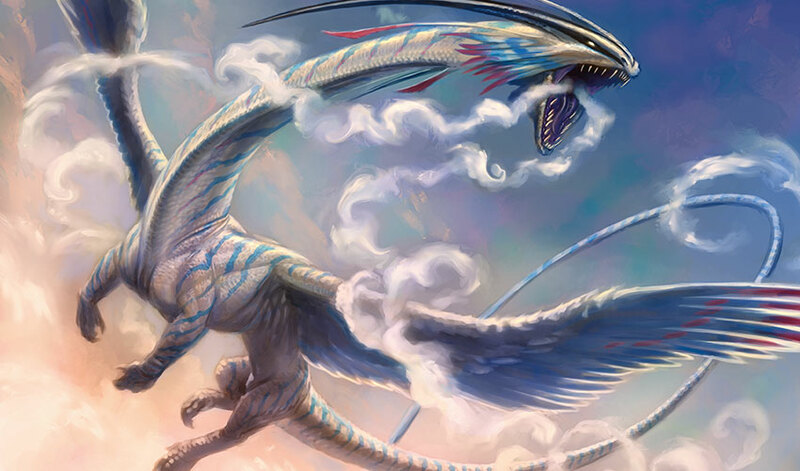 "Your journey is your path to walk, Ugin. May you find what you seek." "Down! Take cover!" cried Fec. "It stalked him through the grass!" A loud rustling like the sound of rainfall swept over them, though the sky remained clear. The vultures launched into the sky in a frantic rush of wings. A shadow fell across them as a dragon's head and sinuous neck rose from behind the outcropping. It was a stunningly beautiful creature, scales a pale gray-white with a hint of blue. A dark blue crest rose from the center of its head between two long, elegant horns. Its gaze marked them, each one, and dismissed them, each one, with a gleam of intelligence nothing like the brute hunger of Atarka's antlered broodlings. Then it saw the young man still seated on the ground. The creature hissed, threads of a cold, misty haze leaking from its nostrils. Tae Jin jumped to his feet, pressing his forearms together in a gesture of supplication. Was it after all a trap? Had he delivered up Grandmother to one of Ojutai's broodlings? A large bird flew up from behind the dragon and landed on the outcropping. It was no bird but an aven, wearing an elaborate vest that hung almost to its taloned feet. Its head was capped by a crest and long horns similar to those of the dragon it served. When the broodling spoke in a crackling rumble of draconic, the aven translated. "Tae Jin, by the command of the Great Teacher, you are accused of the crime of sacrilege and sentenced to die by ice. It will be my pleasure and honor to kill you."